Your idea is quite interesting. Yes, it is one of Sigbin's proposal to watch moonrise and sunrise in Anda, this suggestion seems applicable for lovers, isn't? I like the idea too but I guess, we must have to make that preliminary coffee/klatsch a day before for proper planning in order to know how many interested members like to participate and the date (Dec. 30,2007) as might be the right one. Please talk to our Promoter, Sigbin in this regards. Have you been in this Anda beach already? Do we have to bring with us our own tents and some cooking utensils? Can we make a barbeque party there? I also want to know if there is a possible accomodation in that Beach? Can anybody who is based here get enough time to check-out such undertakings? Would be really very nice if our Administrator 100% be there on that time. Do excuse of these inquiries, I think this must be considered important. I thank you. Calling Mr. Sigbin, our Organizator! What is new? We have lot of suggested ideas posted. and some more.........whyt you think is manageable/practicable for us? 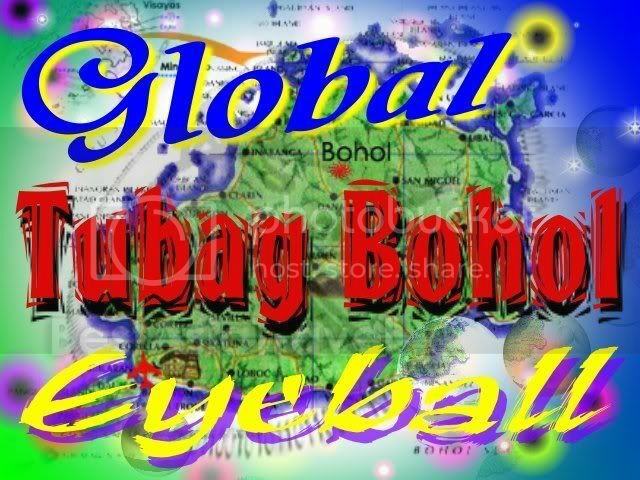 Miga Bams, I think the visit to the orphanage is a very good idea and then proceed to Anda for the beach camping..
Hello Pretty Miga, sus......Day kon mouli ka magholidays gjod si Sigbin kay magpractise sa inyong 1st Dance sa Bayle sa TB! I really hope that one of these plans will be perfectly done. Yes, that's true for me it is the best especially this time "visiting children"
Bitaw, Miga. I experienced visiting an orphanage during my high school years and I want to do it again. I wanna share love with those kids. Makita gyud nimo ang sadness sa ilang mata, they need a lot of love. Miga, kung madayon mo visit, you need to hug them gyud and let them feel loved. That's what they need. Yes, I suggested this one because year 2005 short before Christmas my husband and I upon passing that Orphanage house,we immediately went shopping for the children and we are lucky to meet a nun in BQ asked the address and made an afternoon appointment. It was really wonderful with my old Mama together and the children tendered for us a Thank you song. in needs. I hope the rest of the group will favor to this suggestion. hehehe inse, imo mana gibundak ang akong name nga kuyaw ba ana kung mabali ang l, unsaon naman lang na pagbasa hehe..
Bitaw oi, order nya pud ko ug usa ha! by the way... didto ko sa Ayala ganiha... ammm.. naka ask ko tshirt printing with tshirt na sya... worth 208.00 pesos with tshirt na ha... then ila size is up to Large ra... pero if daku-daku pa jud, naay additional charges... minimum order 30 tshirts... promise... nice sya pagka print... basta colored... ug unsa sa design, mao sad sa tshirt... so unsa man? I like design number 5. St. agnes, unsa man ang style sa shirt? I hope they have v-cut neckline....Di maayo natong mga healthy ang round. by the way... if ever madayun ni... unsa color sa tshirt? any suggestion na mo bagay sa design? can i have a baby tee? Anda has a lot of beaches to go to. There are resorts in Anda where we can stay. But in those "barren" beaches that i'm thinking about don't have anything. So, it's quite a challenge to bring our own tents and the other things that we might need.But i haven't been there for quite some time. Yeah, i think there should be an advance party to go there to check out the place. Hehehe! It's nice nga for lovers! hehehe! but it's nice for friends, too. I like RV's suggestion. I've been to Danao and did some trekking but i haven't been to the caves yet. But we can't have chit chats while climbing those steep rocks and hills. But i'd love to go there again soon. the view is really wonderful. Hi! 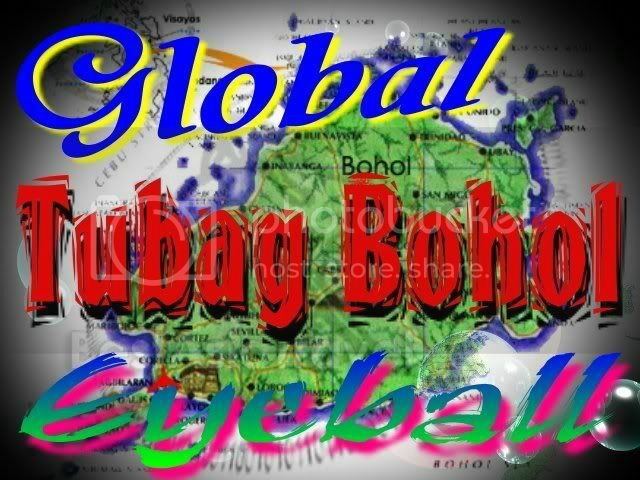 whatever the majority votes....you can count on me (which color of the print)...but www.tubagbohol.mikeligalig.com must be also printed, ok? Philippine T-shirts are too fitting as bought want to have XL size too Miss Agnes, thanks!